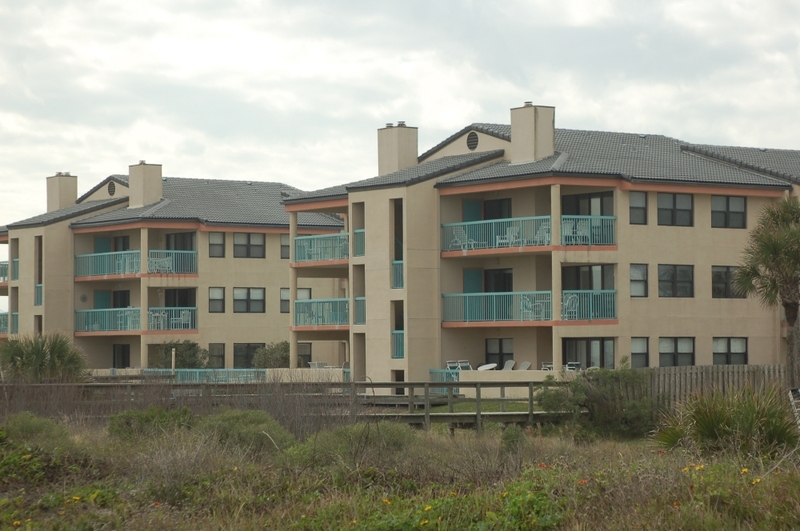 Bermuda Run is an oceanfront condo complex located in St. Augustine Beach Florida, about five miles south of the historic section of St Augustine. There are a total of twelve condominium units built in 1986. Each unit has a corner location with extra large patio or balcony overlooking St. Augustine Beach. Bermuda Run Condominium also has private homes on the street. Bermuda Run offers 3 bedrooms and 2 bath condos with 1380 sq. ft. You can take a walk on your private walkway to the beach or simply choose to rest at the heated pool. There is plenty of parking but no covered parking or garages. At this time there is no on-site rental office. You may choose an off-site rental management company.